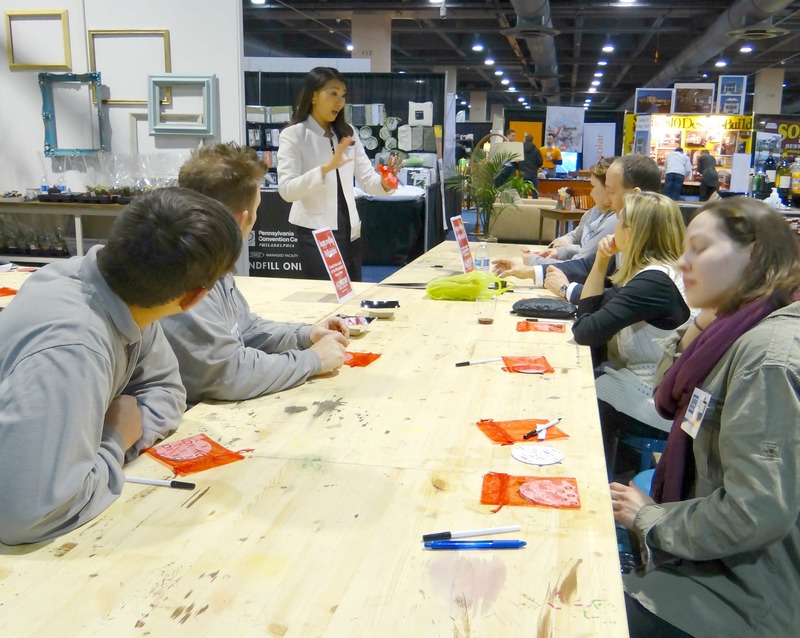 I had the best time last Friday hosting my first workshop at the Philly Home Show. 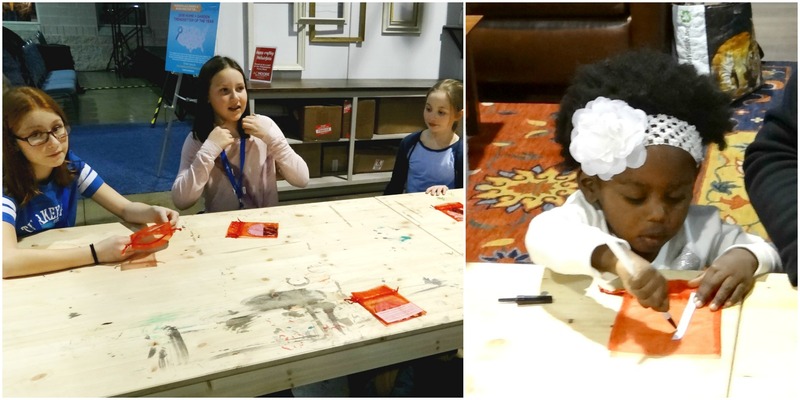 You may recall my previous post where I provided some information about my appearance at one of the Make and Take workshops taking place that day. On the blog today, I’m recapping all the details of my experience. 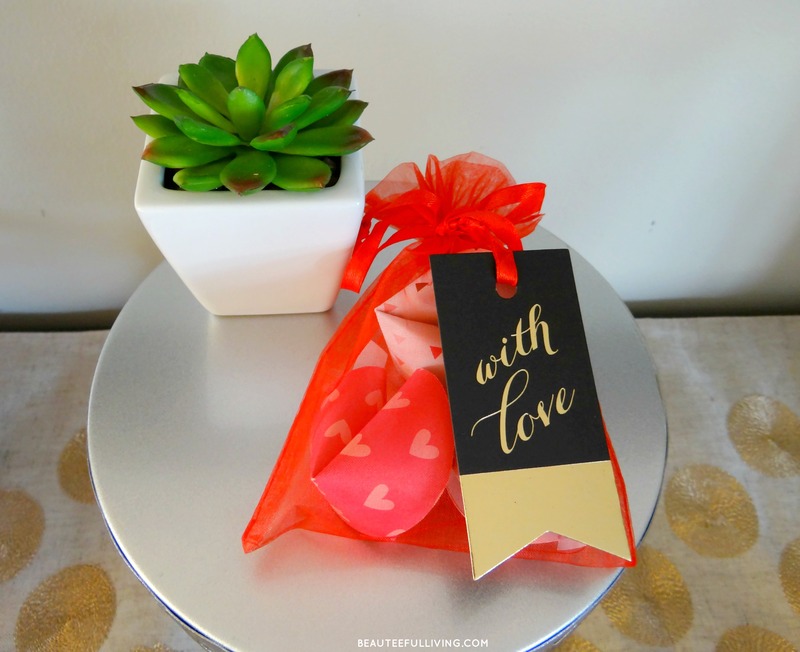 The paper fortune cookie craft was the perfect project leading into Valentine’s Day weekend. 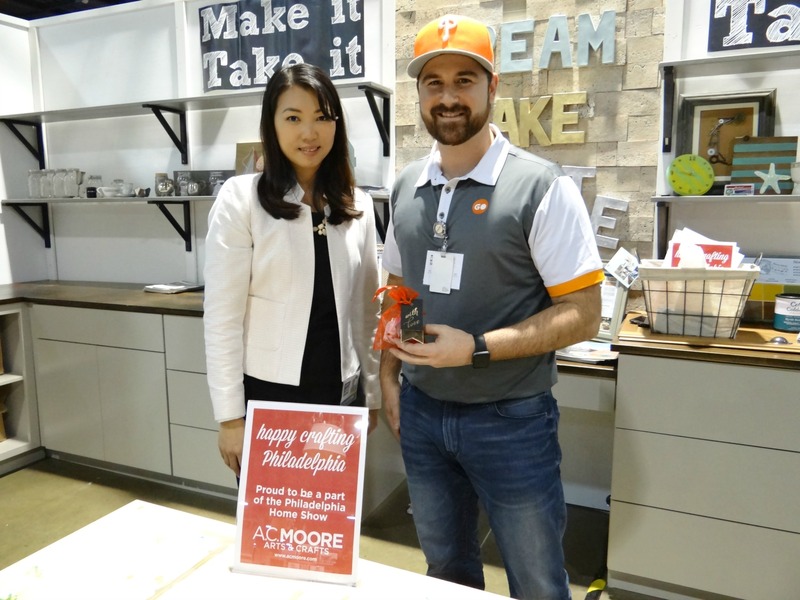 Special thanks to A.C. Moore for sponsoring my presentation! You can find the tutorial here in case you wish to try it yourself. Although my hour-long workshop was set up for 15 people, I made enough paper fortune cookie kits for 60 people. 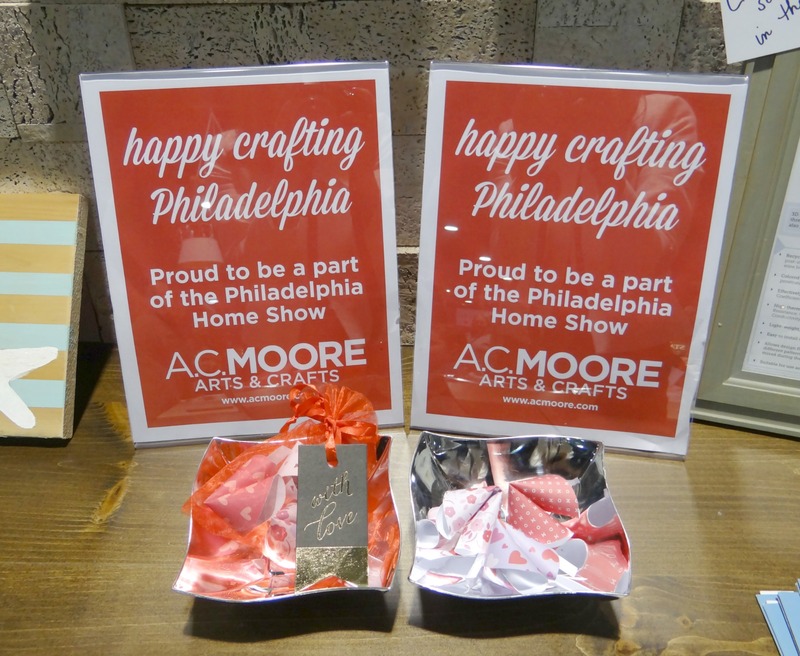 Good thing I brought extras because between attendees, bloggers, and vendors at the Philly Home Show, all 60 of my kits were distributed by the end of the evening! I’m so glad this craft was well received. 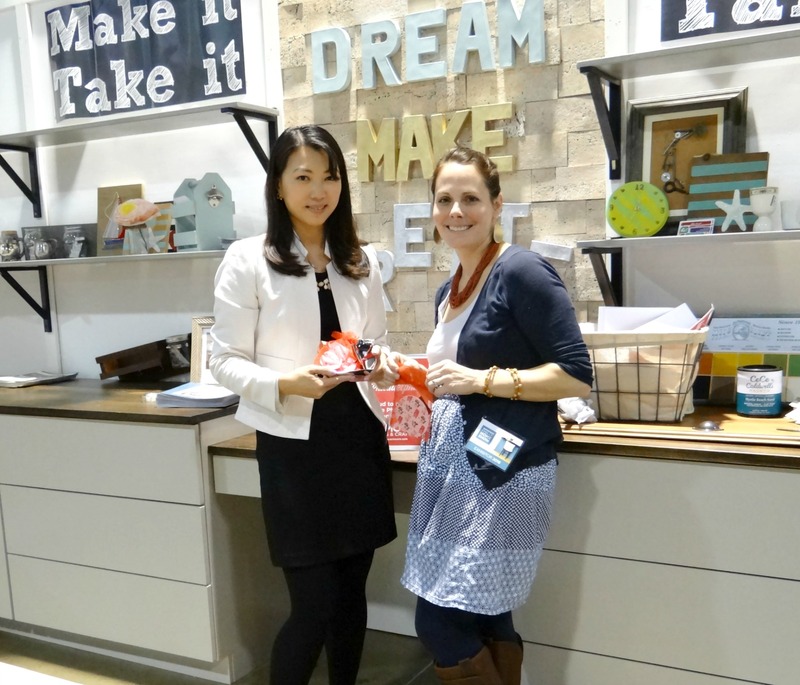 Displaying my fortune cookie craft at the Make and Take station! 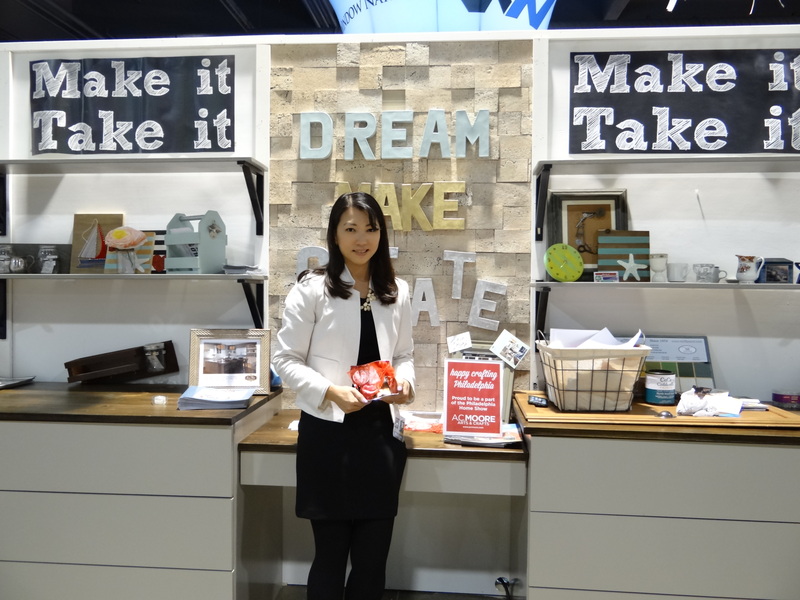 Doesn’t the Make and Take booth look amazing? Here’s a photo of me before my segment. Here I am explaining to attendees what they will be making at this workshop. 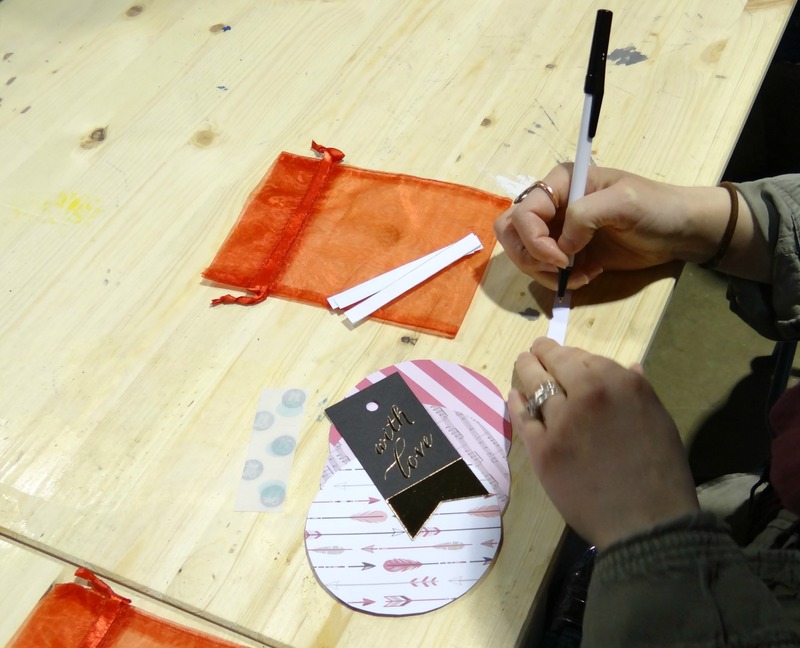 Attendees were asked to first write sweet notes to their loved ones. Showing the trick to forming a fortune cookie. Another group of “crafters” participating in the workshop. My craft wasn’t only done by adults. Kids were also participants! More sweet crafters getting into the project. These 2 gentlemen (vendors at one of the booths) were so enthusiastic about making paper fortune cookies for their sweethearts. They had heard about my craft from the loud speaker and asked if they could participate. But, of course! Some of my non-camera-shy “crafters” posing for a group shot. I had to take a photo with this gentleman below because he was such a great supporter of my workshop. He loved the craft and made the sweetest comment about how he can tell how passionate I am with what I do. I was so flattered because I can be pretty animated when I speak. Sometimes I wonder if people think I drank one too many cups of coffee. It’s always wonderful when people respect the work that you do. I hope his significant other loved the craft he made with her in mind. In addition to taking photos of my attendees, I also took a couple of photos with other bloggers. Here I am with my blogger friend, Tara from Lehman Lane. Tara was a wonderful help! Not only did she help take photos of me doing my demo, she also assisted some of my workshop attendees. Thanks so much, Tara! 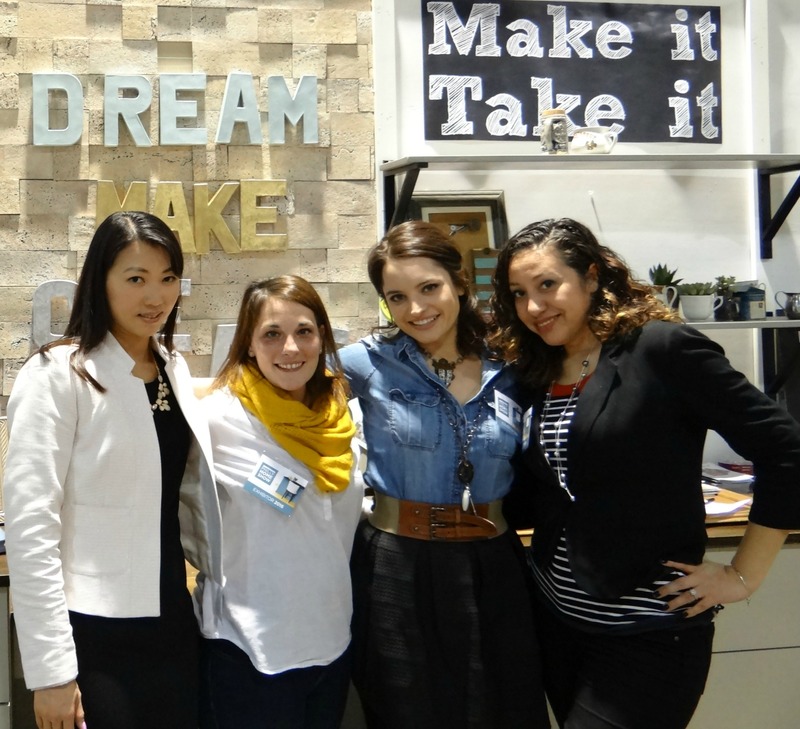 Here’s a group shot of me along with 3 other DIY-loving bloggers. These ladies were all so sweet and fun! 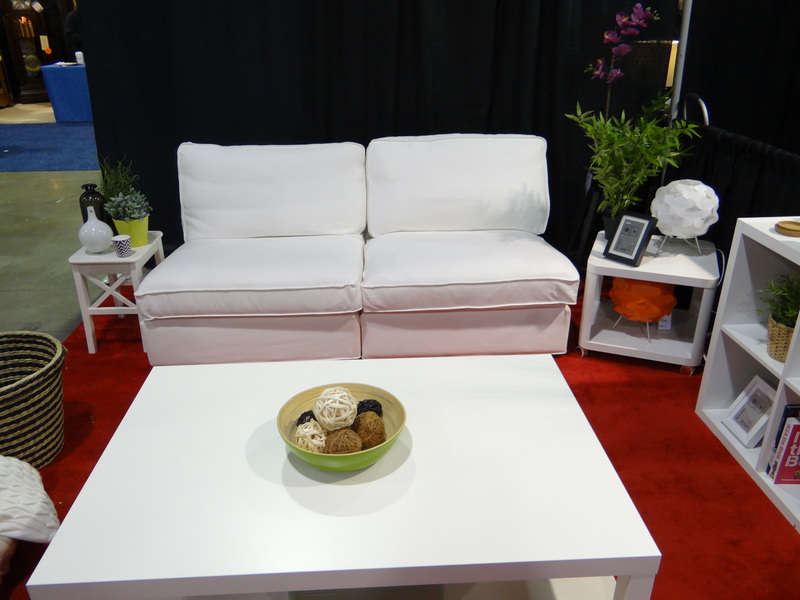 Of course, I couldn’t leave the Philly Home Show without doing the White Sofa Challenge! Here’s the blank, white sofa provided. Two minutes later (timed contest), here’s how the sofa ended up looking. 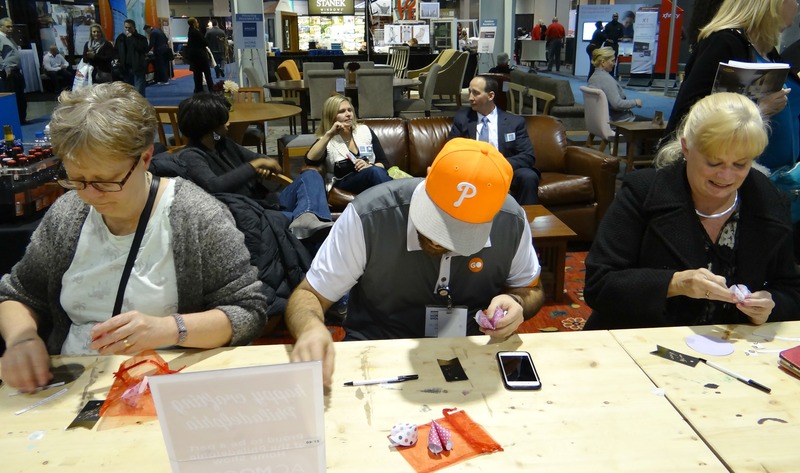 I hope you’ve enjoyed this recap of my visit to the Philly Home Show. The show is still running until this Sunday! 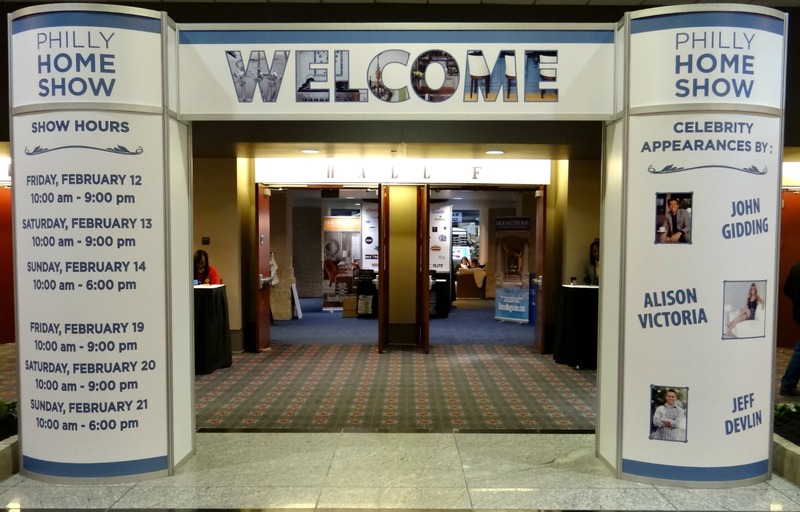 I highly encourage you to pay a visit if you’re nearby. You can learn more by visiting their website here. 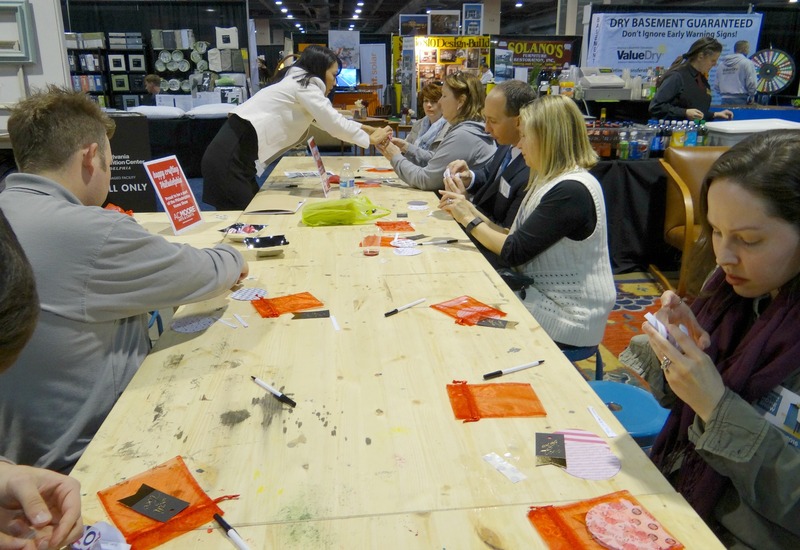 In closing, I’d like to thank Denise from The Painted Home for inviting me to present at the Make and Take station this year! 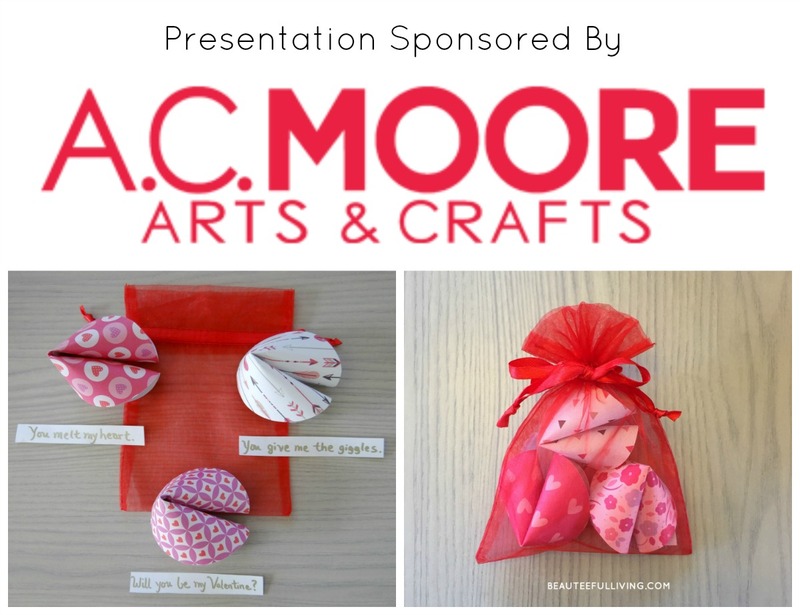 Also, big thanks to the lovely folks at A.C. Moore for sponsoring all the materials used at my demo. It was so heartwarming to not only see women participating in my workshop but also men and kids being among them too! I’m curious…if you were to host a workshop, what type of workshop would it be? Thanks for stopping by the blog today. Have a lovely weekend ahead! XO, Tee. Oh wow. Only if we also have this in the area – I would probably engage on it myself. It seems a lot of fun and good experience. I’m so glad you had fun all day! Taking workshop is fun to have a spare time. 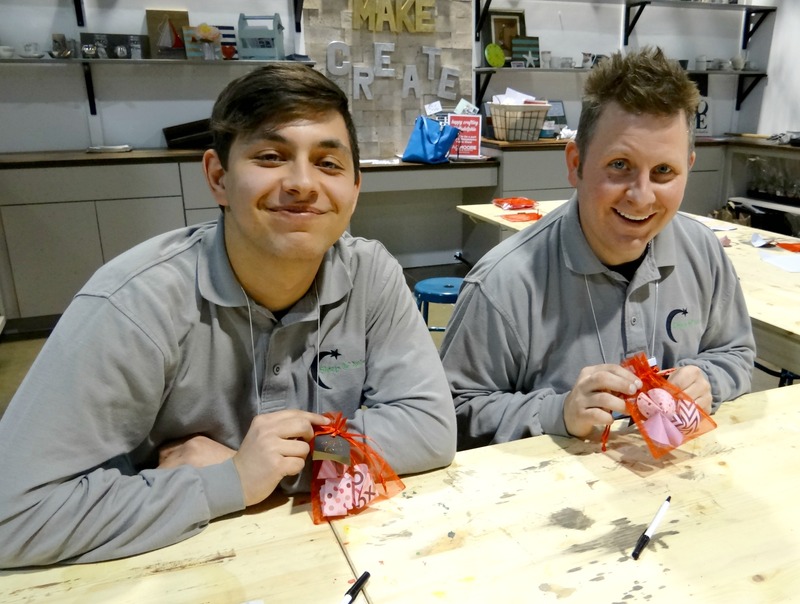 What a fun time to have making a valentine craft! It looks like everyone had a splendid time! I love crafts but just don’t have the time for them anymore…booooo. This looks like it was a great project and a fun time!! I’ve never seen a Make n Take booth that can cater to adults. Usually it’s popsicle sticks and google eyes. This is great. I love your couch design too. I’d like to do that. It wouldn’t look anywhere near as classy as yours though. How fun, congrats on your workshop. I love those kits, they are cute. I would love to have a little DIY project with friends at home. I love that idea! 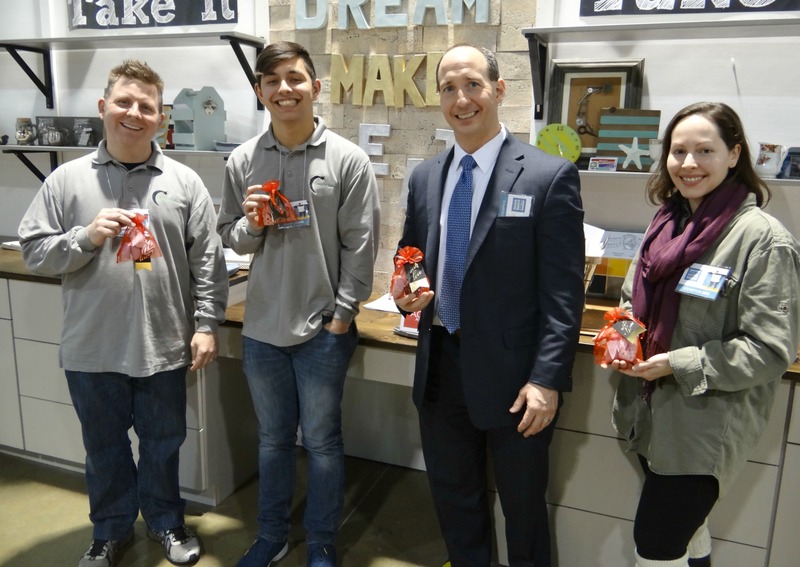 Looks like you had a great time at the home show – I think the make and take booth is an awesome idea. 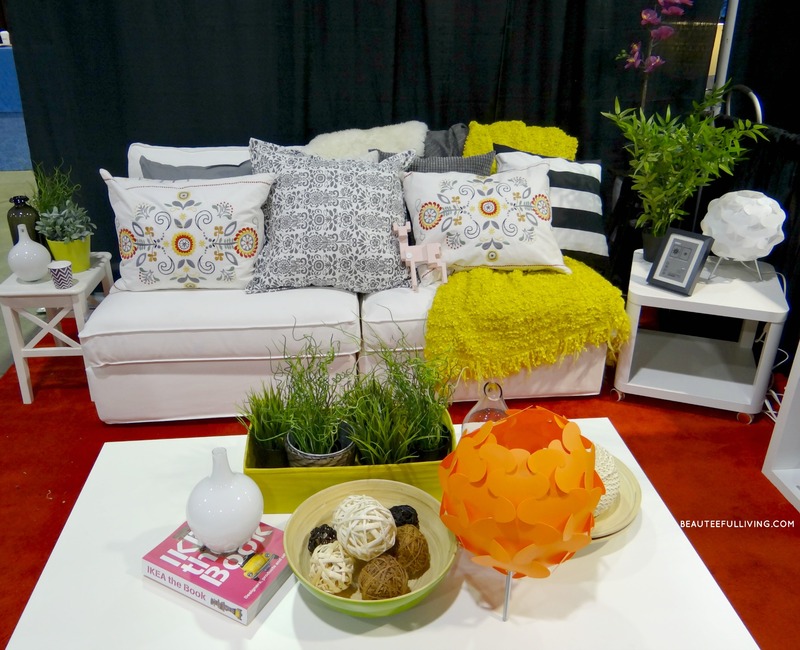 I don’t think our home show has one…I should totally pitch that idea to the event organizers! Nice to see so many people involved in your DIY project. Sounds like you had fun getting everyone to create their little project to take home with them. Good to see even men involved in it. What a fun event to be apart of. I love visiting home shows. You get so much inspiration! I can’t wait to visit one near me soon. I love the idea of this event and would really enjoy attending. If I was going to host a Make and Take type event it would probably having something to do with seashells. That’s one of my favorite things to create with! What a fun time. Those fortune cookie craft is so cute. I want to try that with my kids. Very creative workshop. Iwould love to attend something like this. How awesome. 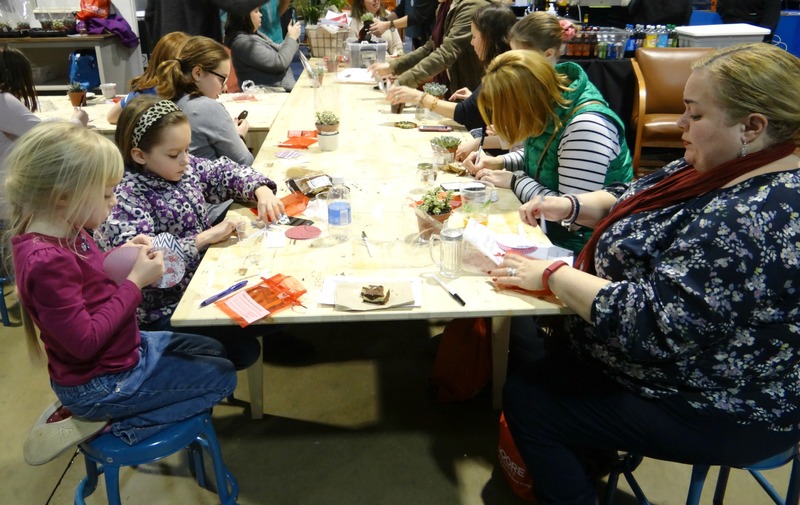 Looks like a great workshop and you are so creative! Very nice! I really adore the colours. This looks like such a great workshop! What a fun way to express yourself and learn at the same time. You are truly a creative person! You made some gorgeous items. Many would really appreciate them. Thanks for sharing! What an awesome experience! I love your idea to create paper fortune cookies with sweet little messages. It seems like it went very well! This looks like such a great event! Those paper fortune cookies are awesome. I would love to learn how to make them. I love the paper fortune cookies, lat year I did a DIY post on them. Great for every occasion. the event looks so fun and enriching! Sounds like you had a great time at the workshop. I also love a lot of color and different patterns in my decor. Very cute. I love that the guys got involved too for their wives (sure it was, fellas, lol!) Looks like you had a great time and that sofa challenge looks fun. This looks like it was a lot of fun! This is such an adorable craft!!! I’ll have to make some of these with the kiddos. That sounds like a good time! I’d enjoy learning a craft and would go to that if they had one in my area. This looks like it would be a blast. My nephews would love making them with me. I am going to have to send them over the link. Maybe a new project for us when i go visit them. It looks like you had a great day! I love the little fortune cookie craft, I wish you were going to be there again tomorrow! Thanks so much, Roxanne! Have fun tomorrow. I would’ve loved to be there tomorrow but my nephew has a birthday party tomorrow. That’s so sweet of you, Tara! I’m so glad our workshops were on the same day! Can’t wait to do another event with you. Enjoy your weekend too! Very cool, Tee! It looks like a fun day! It was a fun day, Lauren! Thanks for commenting. Enjoy your weekend!